Third day of Lent, and we’ve got partial sunshine! The stream is still huge. I spent hours cleaning up the garden by the side of the garage/former dog pen area — need to name it something nicer. I cut back dozens of perennials and weeded. The wild strawberries, Fragaria, are invasive in the raised edge beds, to say the least, and I will have to wait until they flower to identify them better. From what limited articles I’ve read, some woodland strawberries have very little flavor and a yellow flower while others have a white flower and strawberry flavor. We’ll see if the birds get to the berries before I do in this bird haven. Speaking of birds and other winged friends, this blog will need to include updates on both flora AND fauna since both compose Gardens at Coppertop. Our week-old chicks are getting adorable wings. This weekend Hubby will build a more secure pen in the garage, where they can have room to stretch their wings, yet will also have a couple of heat lamps to keep them cozy. 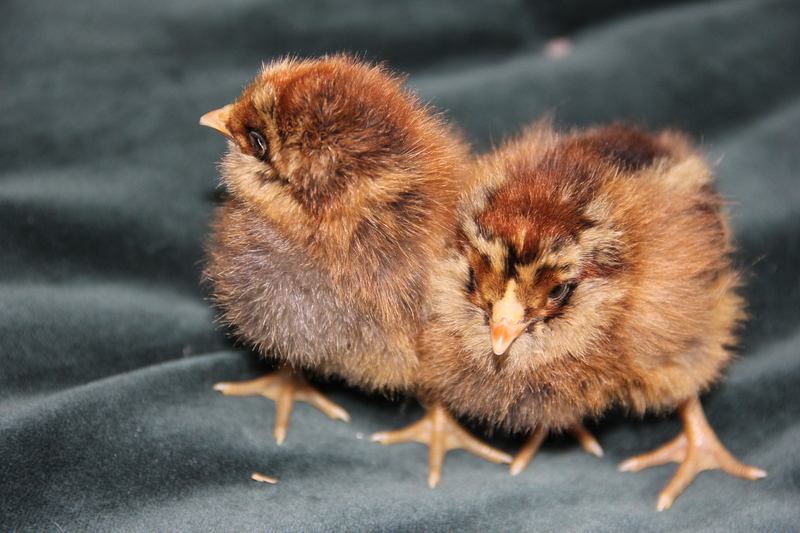 Here are two adorable ameraucana sisters being spoiled for a brief moment on my velvet quilt. Confession time, since this is about learning, growing, and learning more: MAJOR, MAJOR mistake today when I got shear happy and snipped the stems of one of the most established clematis vines — ugh! The clump near ground level had grown entwined with other perennials and I just snipped too quickly. Thankfully there remain many other clematis vines along the black arches and elsewhere. Update 5/21/14 — The clematis I accidentally sheared is coming back well, sending new climbers that have already climbed halfway up the fence. This entry was tagged ameraucana, chickens, clematis, Coppertop, fragaria, gardening, Olympic Peninsula. Bookmark the permalink.